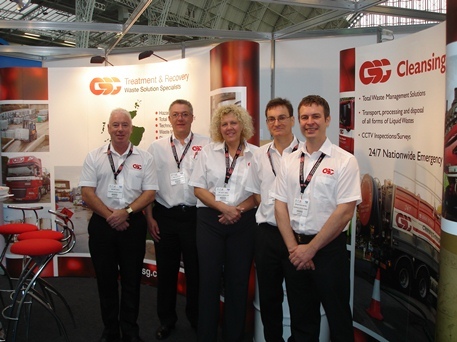 Cleansing Service Group (CSG) is a leading provider of Total Waste Management (TWM) services to UK industry and will be illustrating its expertise on Stand U60 at Southern Manufacturing 2012 (Farnborough 15 – 16 February 2012). Award winning CSG is one of the UK waste industry’s fastest growing companies and has pioneered technologies and processes in which the TWM service it provides is carried out with the aim of helping customers reduce the volume of waste going to landfill by recycling as much as possible and, in many instances, enabling disposal costs to be reduced. Expert staff will be on hand to discuss the TWM service, to demonstrate how the company’s development programmes are increasing the amount of waste that can be recycled, and also to explain how new waste regulations require businesses to confirm they have applied the waste management hierarchy when transferring waste. Picture caption: CSG’s Total Waste Management team.